An 80-year-old Italian expat has been arrested on arson charges after showing up at the Immigration Bureau to report his address. Giorgio Lembo was taken into custody Jan. 11 at the Chonburi Immigration Office in Jomtien Beach when he went for his 90-day report, which can be done online or in person. A background check found he was wanted on an arrest warrant issued by the Pattaya Provincial Court for causing a fire and destroying the property of others. 80-year-old Italian Giorgio Lembo has been arrested for allegedly causing a fire and destroying the property of others. Police said the elderly Italian confessed to the charges, contesting he had never been arrested before. 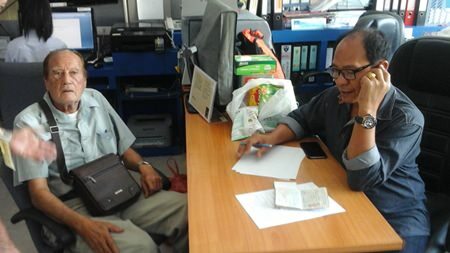 He was turned over to Banglamung Police for prosecution.